A seasoned counselor who presents legal issues clearly and concisely, and works as a valued team member with her clients to help them reach their intended metrics and targets. Michelle Nickel draws on solid experience as she assists clients from industries including oil and gas, banking, real estate and automotive. Backed by nearly 20 years of business law experience, she is a seasoned counselor with the ability to quickly grasp concepts and allowing her to understand each client’s business goals and objectives. 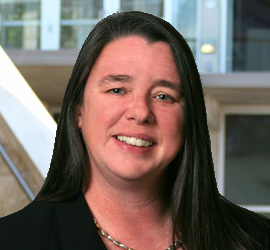 Currently, Ms. Nickel uses her rich legal background to serve companies that range from a multinational energy producer to smaller manufacturing and service related firms to sports-related non-profits. Ms. Nickel’s experience as Regional Counsel with Ally Financial (formerly known as GMAC) brought an auto-industry perspective to her practice. As in-house counsel, she focused on commercial lending activities, real estate, UCC transactions, bank compliance and litigation management in the automotive space. She has strong business acumen and sound judgment gained at boutique law firms that specialize in closing a variety of financing, real estate, investment and expansion projects. Deals she led include $2.1B refinancing of terminals and pipelines; $1.3M loan purchase and restructuring; liquidated over 100 distressed properties in Special Asset Group with recovery in excess of 60%; and disposition in bulk of over $2M in retail space across the U.S. Ms. Nickel also knows the value of her client’s dollar, reducing outside counsel spend from $1.4M to around $550,000 for two Regional Business Centers since 2012. An entrepreneur at heart, Ms. Nickel offers timely, well-reasoned and creative legal solutions to help grow each business she serves as outsourced general counsel.